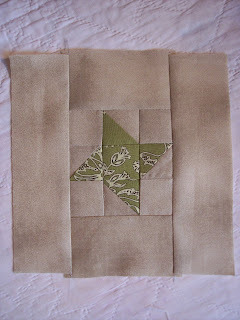 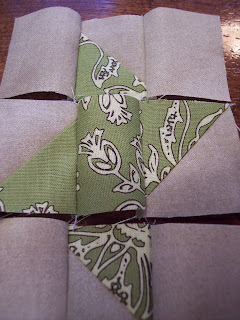 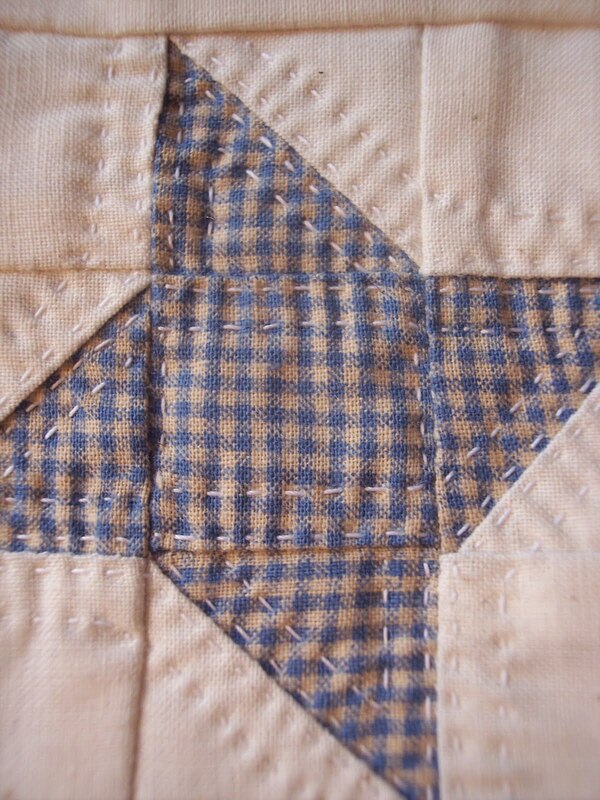 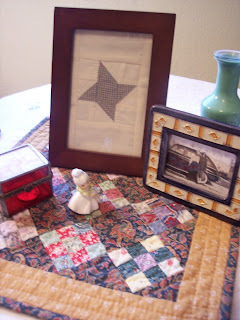 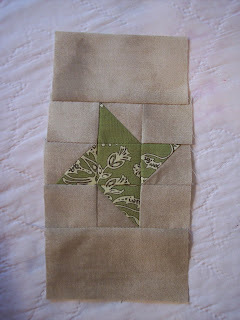 I have to say this is one of my favorite blocks, mine is machine pieced, hand quilted and framed for a holiday gift. 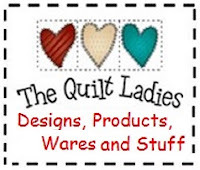 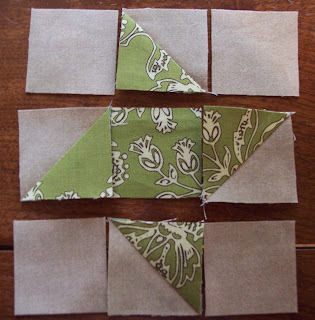 Cut 1 Center Pattern Color - 1 1/2" x 1 1/2"
Cut 4 Background Squares 1 1/2" x 1 1/2"
Cut 2 Background Points 1 7/8" x 1 7/8"
Cut 2 Points Pattern Color - 1 7/8" x 1 7/8"
Sew together to form rows. 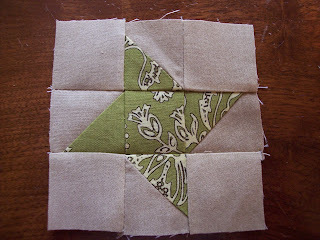 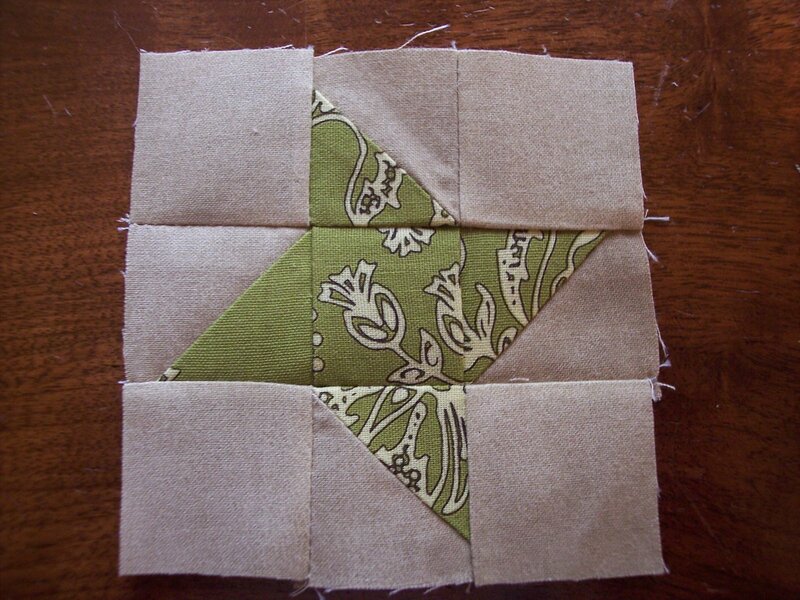 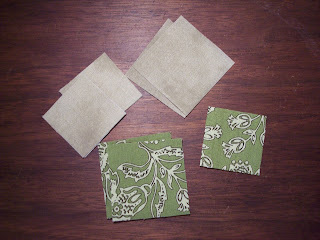 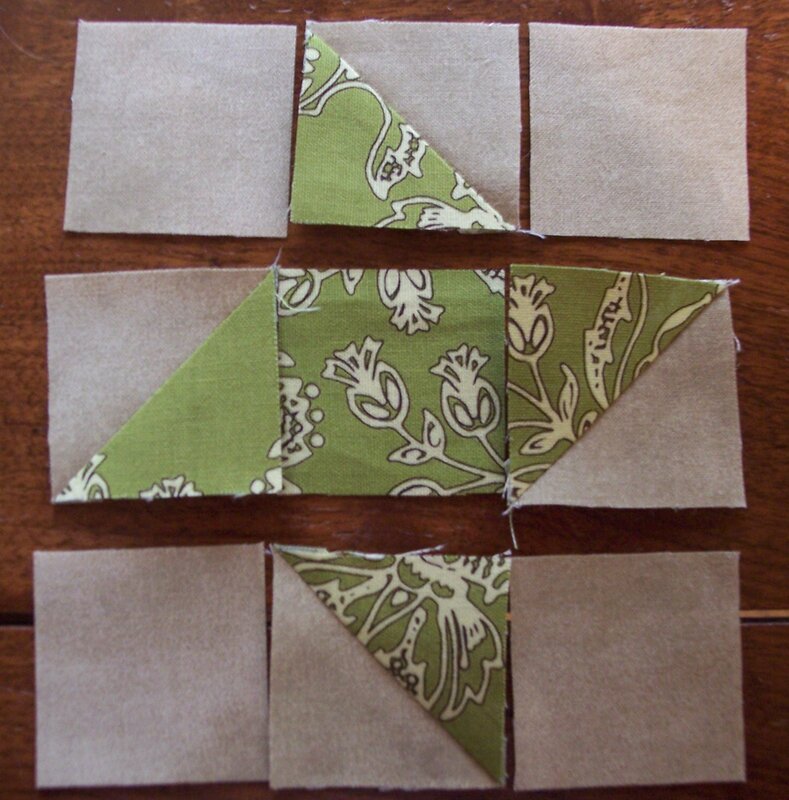 Cut 2 Background 3 1/2" x 2" Sew to the top and bottom of the block. Press well, you can add batting to the back and quilt now, or just frame. I forgot to take the pictures of the blue one as I was sewing.